Description: Jim Dorman, a laid off newspaperman in the Texas hill country, can’t pay his child support. He is summoned to court for nonsupport and the first thing the judge does is read a Suggestion of Death into the record for a man who was supposed to appear that day. She tells the next man that his children would be better off if he were dead, and when Jim steps up for his turn, the judge tells him to get a job or go to jail. At his next court appearance the judge reads another Suggestion of Death into the record, sparking Jim’s curiosity. 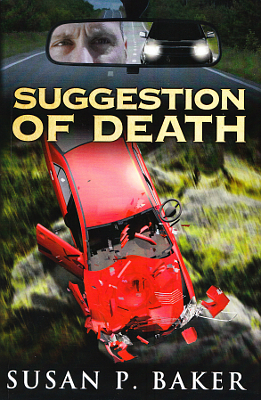 He begins researching and discovers a number of men who have been cited for nonsupport have died accidental deaths. When an informant winds up murdered and stuffed in a trunk and strange mishaps befall Jim, he figures he’d better find out who’s behind the deaths before he ends up as the next dead dad. Viewed: 3,347 times since August 14, 2013.